Here in my town, we host an annual St. Patty's parade and block party on Greenville Avenue, in the heart of Dallas. Our OU tailgate friends have been entering a float in the parade now for years. We participated last year and we are on the float again this year. Hundreds of people gather for the event, drink green beer, and collect beads. 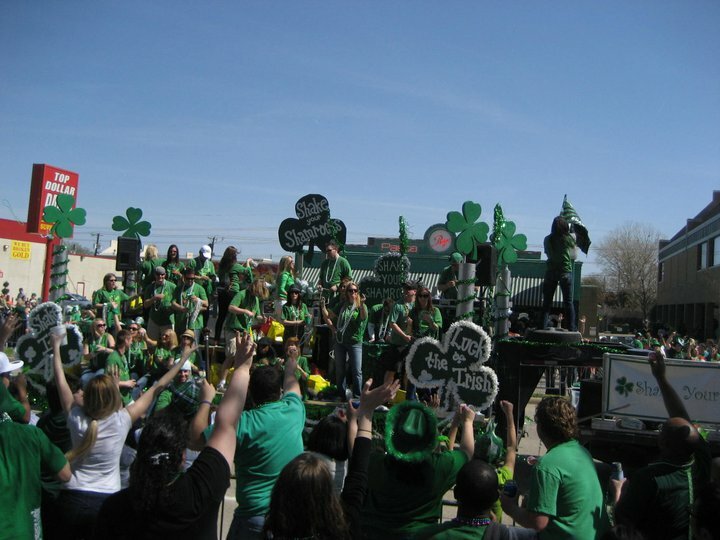 The theme of our float is "Shake Your Shamrocks", the picture above was taken last year. I can't wait to be part of the parade again this Saturday. 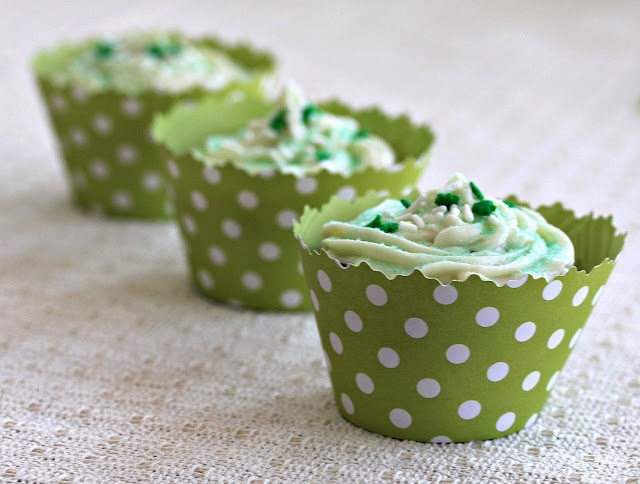 I am going to make these yummy Bailey's Irish Cream Cupcakes for the festivities. Easy and they are really good! I hope everyone has a good weekend and Happy St. Patty's. Cheers.